Post weight loss surgery, you begin the process of adapting a new lifestyle. This new lifestyle should include things such as, a bariatric vitamin regimen, a protein supplement regimen, exercise and self-discipline. 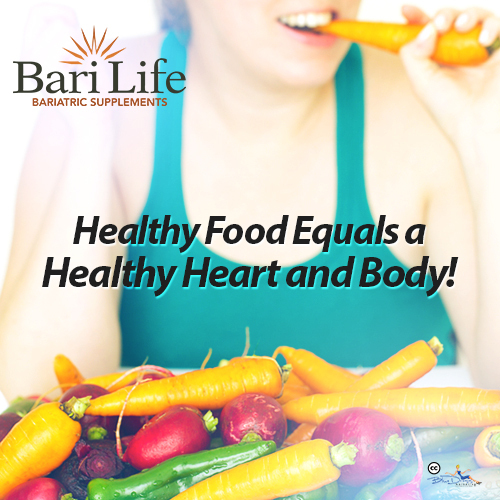 Bari Life Bariatric Supplements provides two types of high quality supplements for bariatric surgery patients and for people on medically supervised diets. Bari Life provides important supplements a bariatric surgery patient must use after surgery. The two types of supplements are bariatric vitamin supplements and protein supplements. Bari Life’s main goal is to provide bariatric patients with the simplest, well tolerated and effective vitamin regimen plan that leading bariatric vitamin companies fail to offer. In addition to bariatric vitamins, one of the best things you can do for your body following weight loss surgery is to develop a high protein diet. This blog is going to focus on the importance of protein supplementation for the post bariatric surgery patient. Protein is essential for a healthy body and there are certain ways to get protein that are healthier and easier than some ways to get protein. Not only do you want to ensure you are getting the appropriate daily amount of protein, you also need to ensure that your body is getting the right kinds of protein. For example, plant-based protein sources are not only great for your physical health, but they are also good for your heart health and contain great sources of fiber. Fiber, of course, helps with weight loss by helping you feel full on fewer calories. High fiber foods are also good for heart health because they can help lower your cholesterol. When looking for plant-based sources of fiber and lean protein, you have a wide selection of healthy and great-tasting options. For example, beans, including pinto, lima, black, kidney, and garbanzo, are excellent sources of high fiber protein foods. Bari Life is a proud distributor of Healthwise protein food products because at Bari Life we find that the products are great tasting and can be used as a part of any weight loss diet plan. We offer all sorts of protein products such as protein fettuccini alfredo, protein shakes in all sorts of flavors and we even carry protein chips and protein cookies! One of our best seller’s is the protein hot chocolate! You’ll find we offer the most competitive prices on the web for all of these products. For guidance on how to use these nutritional protein supplements as part of a healthy weight loss plan view our Diet Plans at www.barilife.com/bariatric-diet-plans. This is great news. The Bari products are really good supplements. It is also affordable.